This beautiful 3 bedroom detached home offers many attractive features for the purchaser looking for a well placed home. The well appointed accommodation is complemented by a private easily maintained patio to the rear and off street parking to the front. 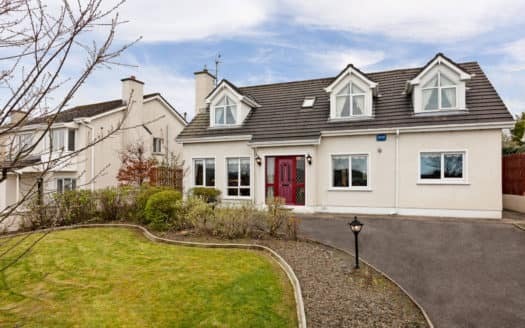 Located within walking distance of the beach, shops, pubs, restaurants and golf course, a house of this nature in such an exquisite location is sure to be a welcome addition to the property market in Sligo. Carpeted floors. Wall Lights. Coving to Ceiling. Bay Window. Open Fireplace with Wooden Mantelpiece and Granite Hearth. Fully Fitted Solid Pine Kitchen. Lino to Kitchen Floor & Between Units. Carpet to dining area. Sliding Door to Rear Patio Area. WC, Wash Hand Basin, Shower. Fully Tiled. Double Room with Carpet flooring . Low Maintenance Rear Patio Area. Minutes Walk from Strandhill Village. Leaving Sligo take the Strandhill Rd (R292) and continue for approximately 7km. Pass the petrol station and rugby club on your right and continue for circa 300m. This property is on the left. Directions: Leaving Sligo take the Strandhill Rd (R292) and continue for approximately 7km. Pass the petrol station and rugby club on your right and continue for circa 300m. Turn left into The Sycamores.